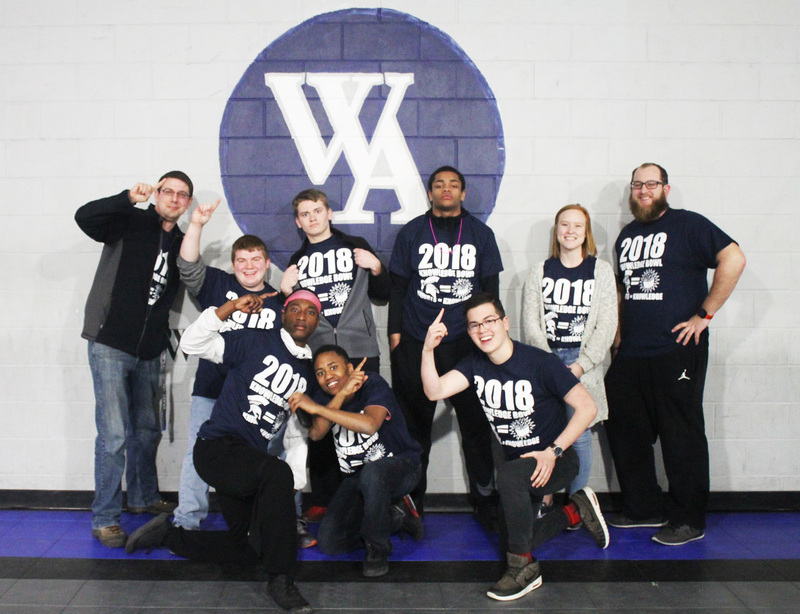 This year’s Woodward Academy Knowledge Bowl took place on March 9th in the Knight’s gymnasium. The decade long (est. 2006), dorm versus dorm, bracketed competition, tests the students academic knowledge. Each team consisted of five students from the dorm and an alternate for the team. A bracket was created and the dorms battled each other in each round. The Knowledge Bowl consists of 10 rounds of six questions. The questions were created by teachers from every department and taken straight from their classes. The students were given hints throughout the course of the semester of what would be in the Knowledge Bowl, but would not know what the direct questions would be. They would have to draw from memory and what they learned in order to answer the questions correctly. Each team had their table set up with buzzers connected to ring in. After ringing in they gave their answer and then were awarded points if answered correctly. In a close final round match, Expedition Hall beat out Triumph Hall to claim the championship. Of course the dorms weren’t just competing for bragging rights, the team would also win a prize. Expedition Hall’s team won for their dorm a trip to go eat at a Chinese Buffet and to go see the movie Black Panther.